Point2 Homes gives you far more than a simple list of houses for sale. Get instant access to a lot of relevant information about Gatineau, QC real estate, including property descriptions, virtual tours, maps and photos. The search results pages also have a wealth of information on Gatineau, QC, if you scroll all the way down. There are 272 houses for sale in Gatineau, QC. 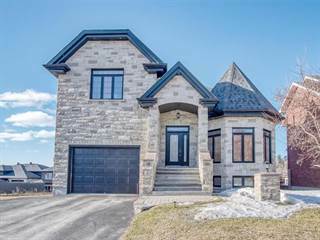 Searching homes for sale in Gatineau, QC has never been more convenient. 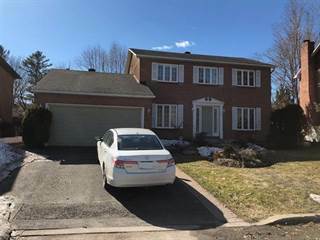 With Point2 Homes, you can easily browse through Gatineau, QC single family homes for sale, townhomes, condos and commercial properties, and quickly get a general perspective of the real estate prices. Also, you’ll never miss a bargain if you filter listings based on house price drops in the past six months. Use the map view to find Gatineau, QC homes and apartments for sale, based on amenities or city features that you may want close by. You can close in on a specific neighbourhood or area by simply drawing around them with the polygon or radius tools. Stay informed about the latest entries on the real estate market by saving your searches. This way, you get new listings in your inbox, daily or every week, based on your preferences. If you’d like to get in touch with a professional, agents are displayed next to their listings, and they’re easy to contact through the online forms. If you want more options, you can click the Tools tab and Find an Agent, and you’ll get a list of helpful and knowledgeable real estate agents in Gatineau, QC. Visit the Point2 Homes blog and you can find up to date expert advice on many markets throughout Canada, regular market reports, neighbourhood scoops in cities throughout the provinces, real estate deals and useful recommendations. Gatineau is a city located in the western region of the Canadian province of Quebec. Located at the junction of the Ottawa River and the Gatineau River, it boasts a population of around 265,000 people and occupies a land area of 3,000 square kilometres. As the 4th largest city in the province, it is often considered as the "French" side of Ottawa due to its extremely close proximity to the country’s capital. A fun trivia fact that is not known by many people is that the FM and TV broadcast stations available in the Ottawa-Gatineau region are transmitted from Gatineau Park. Gatineau has developed a reputation for being a small business hub over the years. With over 7,000 small businesses choosing to locate to this city, particularly technology startups, many economists predict a bright future for Gatineau. Another major sector that drives economic growth in the city is the high concentration of provincial and federal government buildings. This is a direct consequence the fact that Gatineau is in close proximity to Ottawa, which contains the Parliament building and many other key federal government facilities. Without any shred of doubt, the most popular attraction in Gatineau is the Canadian Museum of History. It is famous for its many exhibits that seek to preserve ancient objects that represent the history of Canada. If you visit this museum at the right time, you can catch one of the season-exclusive exhibits that focuses on a particular theme of Canadian history. This museum is also home to one of the few IMAX Theatres in the Ottawa-Gatineau region. In addition to blockbuster films, many educational documentaries are displayed on this overwhelmingly large screen. If you are more of a gambler and feel like testing your luck on a given night, check out the Casino du Lac-Leamy. This casino is home to several bars, restaurants, and a Hilton hotel that boast up to 350 rooms. Citizens of Gatineau and Ottawa will travel far to enjoy a pleasant night out of gambling and socialising. Aside from this, many of the events featured in Gatineau are annual in nature. For example, the beginning of September is when Gatineau hosts a hot air balloon festival. During the winter, there is a large winter festival called “Winterlude” that takes place. It attracts visitors in the hundreds of thousands each year with its skating rink, ice sculptures, and fun activities for people of all ages. The city of Gatineau is comprised of 5 different sectors that contain several smaller neighbourhoods within each sector. They are as follows: Aylmer, Hull, Gatineau, Masson-Angers, and Buckingham. Aylmer is home to many neighbourhoods such as Glenwood, Vieux Moulin, and Lucerne Nord. It is the sector in Gatineau that has an extremely high concentration of recreational facilities. You can expect to find several shopping districts, community centres for those who want to engage in athletic activities, spa resorts, golf courses, and more! The municipality of Hull consists of neighbourhoods like Mont-Bleu, Wrightville, Parge de la Montagne, and Des Hautes-Plaines. This is considered to be the ‘downtown area’ of Gatineau and is closest in proximity to Ottawa. In addition to being the location of the Canadian Museum of History and many of the city’s government buildings, it is also home to several big box stores and several nightclubs. Masson-Angers only contains the Angers and Masson neighbourhoods, which explains the name that it carries. With only 12,300 people in this area, it is the least populated of all the sectors in Gatineau. It is home to the largest outdoor market in the city, referred to as the Larose Market. Buckingham is more of a small city than a sector, being comprised of Buckingham East and Buckingham West. As a small town, there is very little for its residents to do. It is primarily seen as a rural area for those who want to live in a neighbourhood of peace and quiet that is far removed from the heavy traffic seen in sectors like Hull. Aylmer is a rather suburban sector in nature due to the large concentration of homes within a small area. There is a mix of fully detached homes that are traditionally designed and those that have a more post-modern look to them. Middle to upper class families are the demographics you can expect to find occupying these homes. Many residents prefer to purchase a home here while commuting to the downtown area for work. 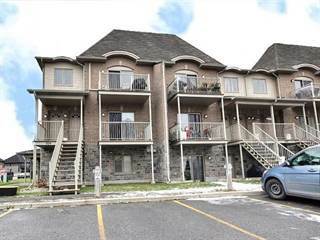 As Hull is considered to be the downtown area of Gatineau, it is no surprise that it contains a high concentration of low-rise condos and affordable apartments available for rent. Many university students in Ottawa frequently occupy this area due to the cheap prices here. Gatineau’s houses are quite small in nature, being more fit for bachelors and small families that are not looking for a spacious house. The houses are at least a couple of decades old, sporting a design that is reflective of the era in which they were built. With that being said, many of them are well taken care of and come in good quality. Masson-Angers contains semi-detached homes, fully detached residential homes, bungalows, and a few fully-attached townhomes. The homes are fairly modern in design, having been built within the past two decades due to massive urban development. Buckingham is quite eclectic in the collection of homes that are available to prospective homebuyers. You will either see fully detached homes that are modern in design or mansions that occupy a lot of property area. Therefore, you can expect to find a mix of wealthy and middle-class families. The following table, based on data taken from the Canadian Real Estate Association (CREA’s) National MLS® Report for April 2016 (the latest information available), demonstrates how homes in LSTAR’s jurisdiction continue to maintain their affordability compared to other major Quebec and Canadian centres. When it comes to post-secondary education, many students will end up going to one of the universities in Ottawa or moving to Montreal to attend one of the many colleges available there. However, students in Quebec operate under a slightly different educational paradigm. They usually attend one of the two provincial junior colleges (known as “CEGEPs”): Heritage College, or Cegep de l’Outaouais. As per elementary schools (K-8), there are around 43 francophone schools that are divided amongst three different school boards, and 15 anglophone schools that are under the management of the Western Quebec School Board. Many of these schools are well known for providing high standards of education in both languages, which makes this city very attractive for parents looking to raise their children as bilingual speakers who are fluent in reading, speaking, and writing Canada’s two official languages, English and French. There is no question that Gatineau’s economy is primarily driven by the pharmaceutical industry. This is evidenced by the several research laboratories in its vicinity and the major buildings occupied by industry giants such as Vertex, Merck, and Pfizer. With that being said, it also benefits greatly from the technology, agriculture, and retail sectors. With a total of 200,000+ employed by these various sectors, there are an abundant number of job opportunities for newcomers. Over the years, Gatineau has been praised as a shining example of a city that continues to experience above average growth on an annual basis. This is partly thanks to a strong government framework that has a long-standing history of strong budgetary performance. The unemployment rates and labour participation rates that are respectively below and above the averages across the province confirm these statements.